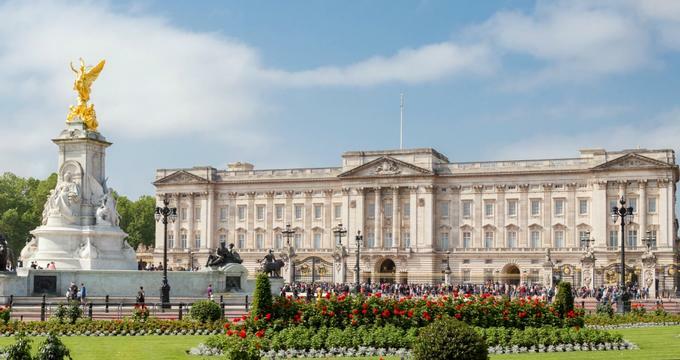 Most people have heard of Buckingham Palace in London, but not everyone can say they have actually been inside and tour it. A visit to this awe-inspiring site allows guests an inside view of history, including many artifacts that may be a one of a kind viewing experience. Buckingham Palace’s history can be traced as far back to the early 17th century and the reign of King James I. However, Queen Victoria was the very first sovereign ruler to ever leave there, moving in in 1837. Charles II - Focusing on Charles II’s rule in England and how that rule brought about a massive resurgence in the arts, this exhibit takes a close look at both the man and his court. The court of Charles II was well known for its collection of works of art, serving not just as household decoration but also as a means of bringing glory back to the monarchy and reinforcing his role as rightful ruler and king of England. Starting with the portrait of a coronation robed Charles II (by John Wright), to physical artifacts like a silver gilt plate that was present at the coronation and other various paintings, furniture, and tapestries, the exhibit displays the glory and wealthy material world that was the court of Charles II. Splendours - This exhibit focuses on the “subcontinent” as the Prince of Wales experienced it during a four-month tour in 1875 and 1876. While there, he visited over 21 different locales that are now known as places like Sri Lanka, Nepal, India, and Pakistan. The exhibition tells this story through artifacts and treasures that were presented to him during his visit and are now part of the Royal Collection. Russia - The exhibition at Buckingham Palace features two different exhibits on Russia. The first focuses on Britain’s relationship with Russia and how their royal families have intertwined through the years. Starting in 1698 with Peter the Great, the collection uses sculpture, paintings, photographs, documents, and Faberge masterpieces to tell the story of these two great countries and their rulers. The second focuses on the war in Crimea, through the lens of Roger Fenton’s war photographs. These pioneering photos were taken in 1855, several months after the majority of the major battles of the war had been fought. Fenton focuses on the troops themselves, as humans, to help show the impact of war and, through that interpretation, he invented what we now consider the genre of war photography. Tours are also available at the palace. Guests should allow at least two hours for visiting and wear comfortable shoes. Pre-booking tickets is recommended but not required, and those can be purchased on the website. There will be a security check prior to being admitted into the building. Photographs are only permitted in certain areas of the palace, but eating and drinking is strictly not allowed. Buckingham Palace happily offers school and educational opportunities and field trips to students across the country. With a range of tours, interactive workshops, learning experiences and other resources for both children and teachers, the site provides one of the best opportunities to bring history to life for students. One of those sessions, called Moving into Words, is a lively creative writing workshop that focuses on the Royal Mews and different modes of transportation. Lasting roughly 90 minutes in length, these workshops are hosted by published authors. There are also many games and activities available on the website for teachers to use while creating a lesson plan around their visit, as well as guides to help direct them while on site. The State Room, which is the working portion of Buckingham Palace, is also available for field trips. Contact the booking team ahead of a visit with the number of expected students for a reservation and additional information. The Shop at Buckingham Palace offers a unique variety of monarchy related memorabilia and souvenirs. There are articles of clothing (shirts, hats, etc), home goods (dish towels, etc), china, children’s toys, jewelry, postcards, and books. A portion of the proceeds from all purchases goes towards helping to maintain the collection. For visitors who get hungry, stop by the Garden Cafe. Although not hosting a full menu, this cafe serves light refreshments like tea and cakes while allowing guests to take in the beautiful views of the Palace lawn. They also have a small selection of sandwiches and pastries, all specially designed for Buckingham Palace.